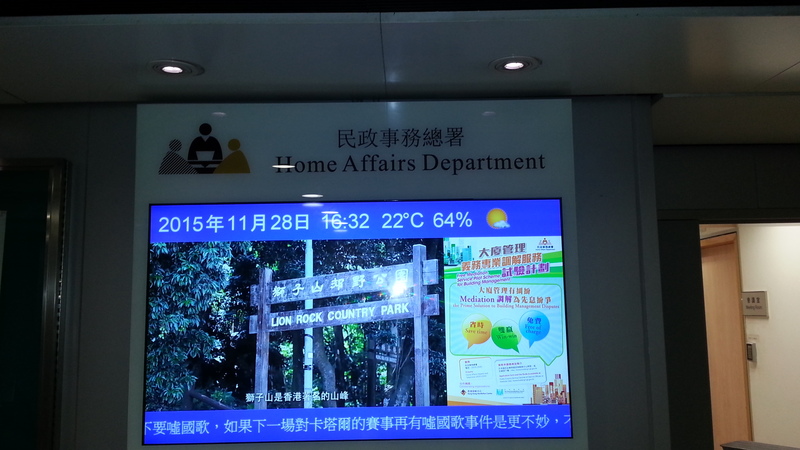 Mar 25Cybersys Computer Limited has completed installation of digital signage for Home Affairs Department Wanchai Public Enquiry Centre. Jan 16Completion of Digital Signage and Audio Visual System for OGCIO's office at Tamar New Government Office. Aug 4Commencement of long term project with Smartone on provision and installation of digital signage (update by 3G mobile network). Jul 5Commencement of digital signage and optic fiber network project with The Repulse Bay. The project focused on building optic fiber network for provision of digital signage in the elevators and public area. 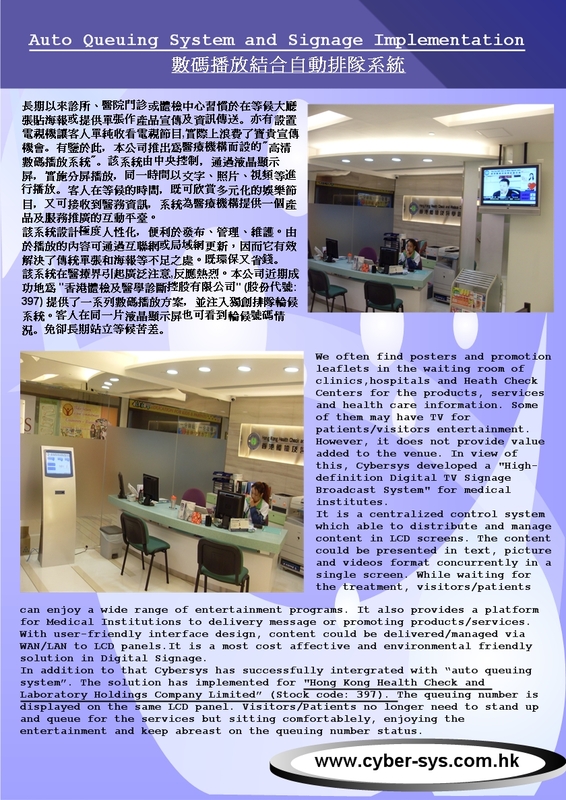 Jun 23Cybersys completed the installation of auto queuing and signage system at the latest ST Centre (in Shatin) of Hong Kong Health Check and Medical Diagnostic Group Limited. Jul 15Installation of digital signage at Baptist University NTT International House lobby for presentation of messages from BU, weather / time, and lectures. 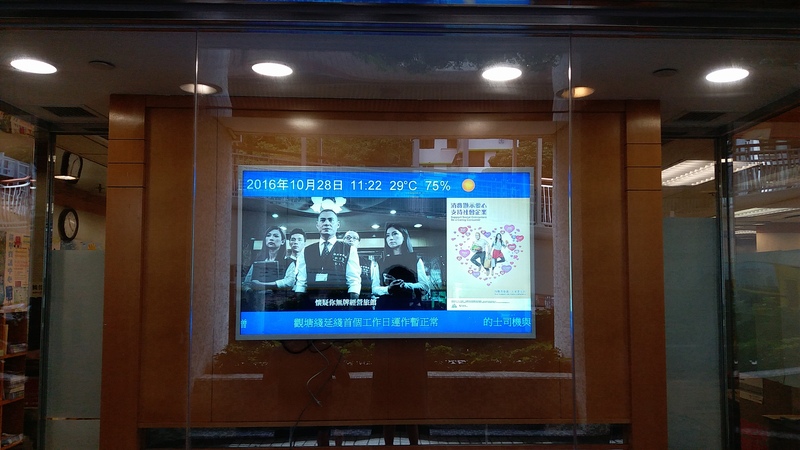 May 15Completed the installation of Digital Signage System at SMKMCF Ma Ko Pan Memorial College, Tuen Mun. The system is aimed at improving the communication among the school, students and parents, and also as vital equipment in education. May 12Completed installation of digital signage system on each floor of Central 131, 129-133 Queen’s Road Central, HK. Apr 28A 3G Digital Signage Road Show was conducted at China Unicom's Shenzhen headquarter to five major advertisement companies. Apr 143G Digital Signage Patented Technology demonstration in China Unicom's Shenzhen headquarter, four hypermarket and six Advertisement companies has attended the conference. Mar 23Successfully registered the 3G advertisement patent in Hong Kong HK1133535. Dec 18Successful registered the Live Digital Signage Platform Patent Hong Kong HK1130154. Jul 8Patent PRC: 3G CyberMedia Digital Signage Content Management System. Jun 20Patent PRC: CyberMedia Digital Signage Content Management System (LAN/WAN, WiFi version). Jun 12CyberMedia Digital Signage Content Management System ¡V WiFi and 3G Solution was tested and proven successful in Hong Kong and Singapore. The 3G solution was commercially deployed by Focus Media Singapore. For details, please see attachment 1 and attachment 2. May 1Office removal to Room 1009, 10/F, New Commerce Centre, 19 On Sum Street, Shatin, N.T, Hong Kong. Feb 22Officially launched the Cyber DigitBox CDB0811 Terrestrial Digital TV Receiver after receiving OFTA's ¡§Higher-tier Receiver¡¨ label on 22 February 2008. Please also refer to http://www.dmb-th.tv for detail information. Jan 17Focus Media Hong Kong / Singapore confirmed after testing that the LCD panels installed with the company's Digital Signage Solution were fully functional in WiFi environment in HK & Singapore. Dec 12Signed agreement with Focus Media Hong Kong / Singapore to supply specially designed LCD advertising panels that deployed Digital Signage Solution in WiFi environment. Nov 1Application for CyberMedia Broadcasting Solution together with the CyberMedia Digital Signage Content Management System to be registered as patent was formally accepted by the State Intellectual Property Office of People¡¦s Republic of China on 31st October 2007. Sep 15Under CEPA arrangement, set up a WOFE advertising company, ADChina Company Ltd in Shenzhen, PRC, to install the proprietary CDSCMS system at stores of Shenzhen MinRun Agri-Product Distribution Chain Stores Company Limited. The system utilized WAN as Internet medium. For details, please see attachment. Sep 154 units of CyberMedia Security Door Lock System at ¡§The Legend¡¨, Jardine¡¦ Lookout, Hong Kong. For details, please see attachment. Mar 15Patent HK : CyberMedia SMS Advertisement Display panel. Nov 22Patent HK : CyberMedia Security Door Lock System. Jun 1Vfone Online Warranty Card Registration -- Registration Link. Mar 1A & P Consulting Ltd. today jointly announced the launch of commercial deployment of Voice-Over-Internet-Protocol (VoIP) telephony service in Canada. 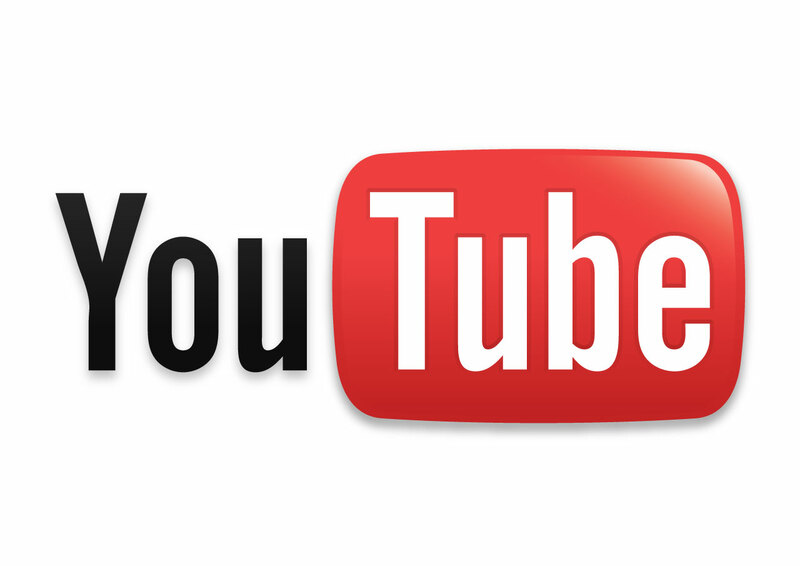 Jan 31New Product --- CyberMedia is launched. 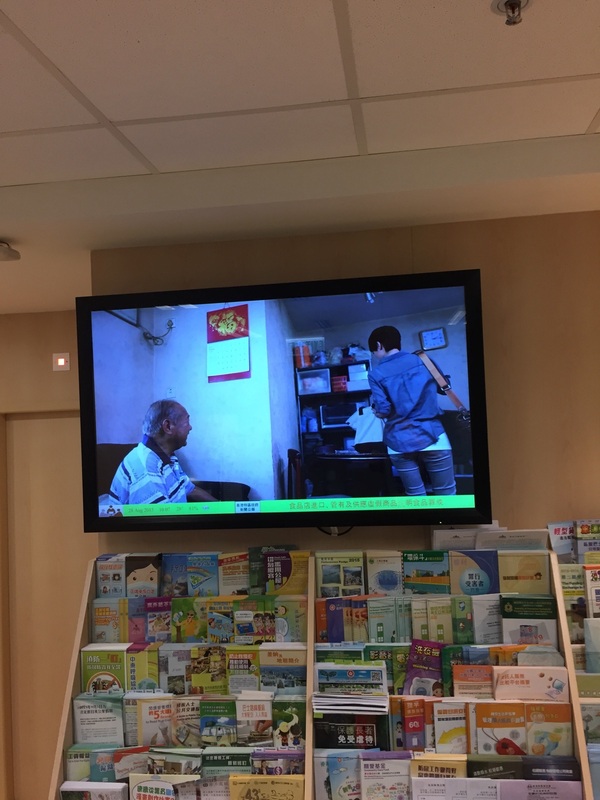 May 5Cybersys provided video-conference service at Tung Wah Group of Hospitals : Fung Yiu King Hospital, for the SARS patients and families. Dec 9Free Seminar on "How to reduce IDD costs and enhance efficiency using Internet phones and VOIP applications" in Federation of Hong Kong Industries. Oct 21Product information of CyberGate has been updated. AprFirst launch of CyberGate VoIP solution, which provide a high flexibility solution for customer. Jan 18i-CABLE, INNOMEDIA & CYBERSYS Jointly Conduct Market Trial to Deliver Voice Over Cable Network. For details, please see press release. First launch of InfoTalk V.
First launch of InfoTalk 3.